Virginia Bird Removal, Bird Control & Bird Trapping in VA. Richmond Virginia Bird Removal and Bird Control provides all types of bird removal services including birds in a vent, pigeon control at shopping centers, sparrows inside big box stores, bird in warehouses, commercial and industrial bird netting jobs, bird spike installation and maintenance, bird removal and control in Virginia, bird capture and management in Virginia, birds in your house, chimney Swift birds in your chimney, woodpeckers damaging your wood siding, Canada geese pooping everywhere and taking over your property, getting rid of a bird in the chimney, and all types of bird proofing services throughout Richmond, Charlottesville, Henrico, Short Pump, Glen Allen, Ashland, Mechanicsville, Chesterfield, Midlothian, Chester, Bon Air, Woodlake, Brandermill, Orange, Barboursville, Powhatan, Amelia, Hanover, Fluvanna and Louisa Virginia. Birds in your home’s dryer vent is a very serious problem for Virginia homeowners. A bird often pack the dryers exhaust vent with nesting materials that shortens the service life of the appliance, reduces its efficiency and can pose a fire hazard. We can get rid of the bird in your dryer or bathroom vent, and remove their nesting materials which will often improve the efficiency of your dryer. Birds are a very common nuisance animal that will make their nest in your Richmond home or business and leave droppings for you to cleanup. Birds are a common nuisance animal problem that animal control experts encounter. If you think you have a bird problem, some indications include scratching sounds, loud thumping, and a lot of chirping sounds after baby birds are born. Droppings at the entry point or nesting site may be another indication that birds are living in your vent. Bird nesting season is right around the corner. And while there is something beautiful about letting nature takes it course and allowing a bird the freedom to nest in different locations, they have a tendency to choose bathroom exhaust vents and dryer vents to raise their young. Not only is this dangerous to the bird and their nests, it is also dangerous to the inhabitants of the property. Bird nests could cause problems, such as clogging of the vents and even contamination. When the birds start to appear in the Spring they immediately start looking for a place to build their nest. However, if a bird end up nesting in your vent, they can potential cause fires and shorten the life and efficiency of your dryer. Not only can it cause untold problems for the property and its inhabitants, it also has the potential to kill the birds if the vents are used for dryers and exhausts. We are committed to utilizing solutions that protect both properties and wildlife. Our goal is to help homeowners protect their dryer vents from damage or getting clogged as a result of birds making their nests there. Once birds have nested, it is nearly impossible to move them because a number of birds fall under the protection of the Federal Migratory Bird Treaty Act. Homeowners would essentially be breaking Federal law if they attempted to remove the birds, particularly once they have laid eggs. Birds nesting in dryer vents can be hazardous as the heat that builds up due to exhaust vents being clogged by the nest can cause a house fire. We often get calls from potential customers that ask, How do I keep birds out of my dryer vent? Give us a call. We want to help stop birds from nesting in bathroom and dryer vents. In Virginia, barred owls nest a little later in the year than great horned owls. They typically are cavity nesters that start searching for a good location to lay eggs in early to mid-March. Most often, they choose a natural nest site such as a tree snag or hollow created by broken tree branches. However, when out scouting for a suitable cavity, some investigate uncapped chimneys only to find that these “cavities” are deeper than they appear and once the owls get in, they cannot fly vertically to get out. Recently, we were called to a home in Chesterfield County Virginia where a customer had reported that a barred owl was indeed stuck in one of the chimneys of their house. After several hours we were able to successfully remove the bird, release it unharmed and install a chimney cap to prevent a repeat performance by some other critter. We are seeing more and more cases each year of animals such as squirrels, raccoons and birds getting into uncapped chimneys in the Richmond, Henrico, Chesterfield, Midlothian, Glen Allen, and Charlottesville VA. Many species of wildlife nest in natural cavities. With the increase in human development occurring in their home territories, many species look for alternative cavities. Please make sure that your chimneys have proper caps; this will prevent situations like barred owl faced from happening in the future. We provide and install great looking chimney caps at a reasonable price. 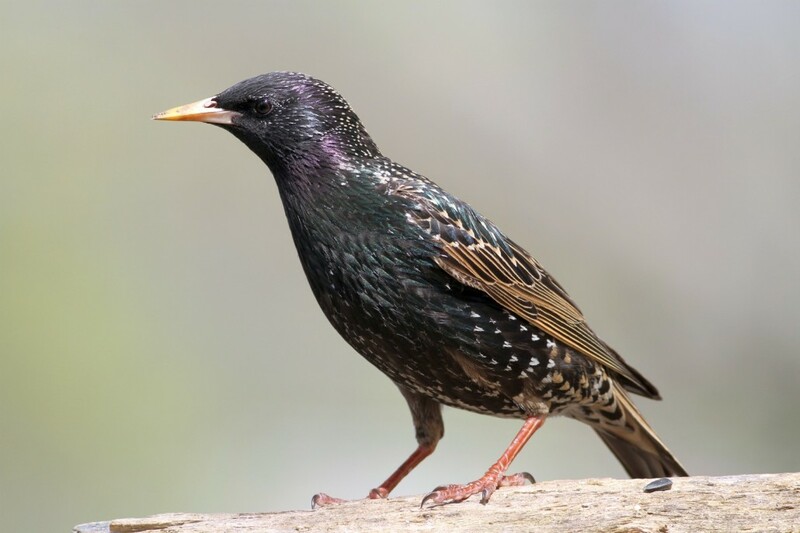 If you have a question about birds in a vent, bird netting, birds in chimneys, how to get rid of a bird in a warehouse, or any type of bird control problem, our animal control operators of Richmond, VA have the solutions to your animal problem. Open warehouse doors and loading docks at store can offer a bird easy access to buildings. Once inside buildings, birds damage the interior of the structure, infest the area with bird mites and other parasites, and leave unsightly and nasty bird poop everywhere. Let us help you get rid of your bird problem with our proven techniques. Let us show you the best methods for getting rid of any bird problem.